Google works on so many projects, it can be hard to keep track of them all. They've put computers on our faces, sent internet balloons into the atmosphere, and created contact lenses that measure glucose through our tears. 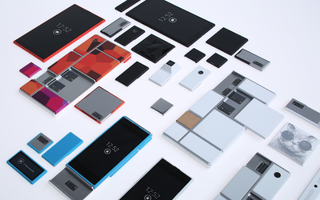 Project Ara is another example of trying to take an ambitious idea and make it possible—all while changing the way we think about smartphones in the process. In other Ara news, we just kicked off an effort with Rockchip to create a mobile SoC with a native, general-purpose UniPro interface, so that it can function as an application processor in an Ara module without the need for a bridge chip. We view this Rockchip processor as a trailblazer for our vision of a modular architecture where the processor is a node on a network with a single, universal interface–free from also serving as the network hub for all of the mobile device's peripherals. We expect to be able to demo the Rockchip UniPro processor in our third design spiral, with a prototype anticipated in early 2015.